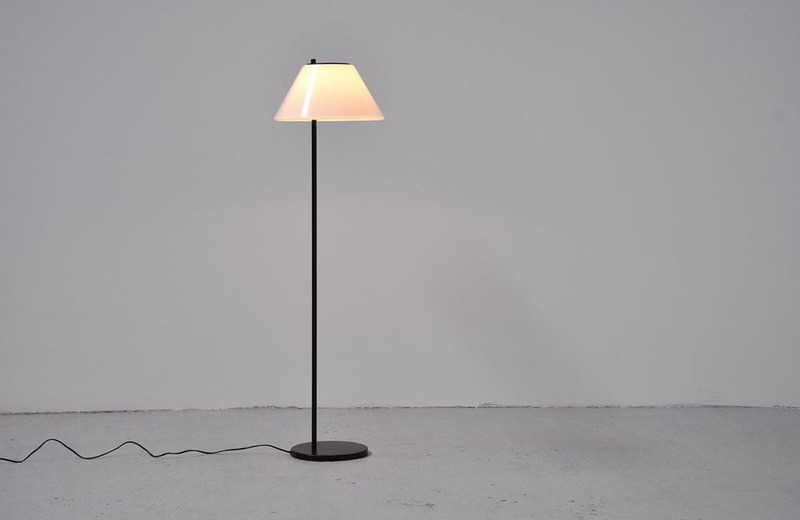 Rare floor lamp designed by Per Iversen for Louis Poulsen 1965. 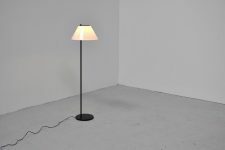 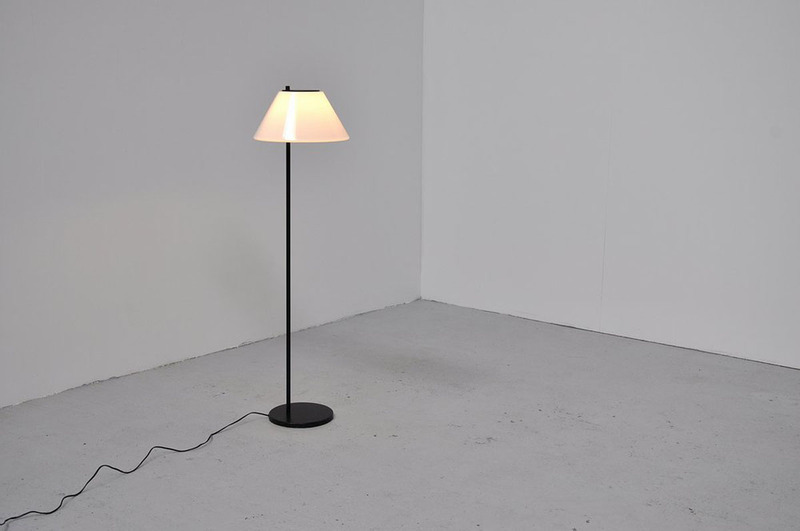 This simple floor lamp has a typical Danish look. 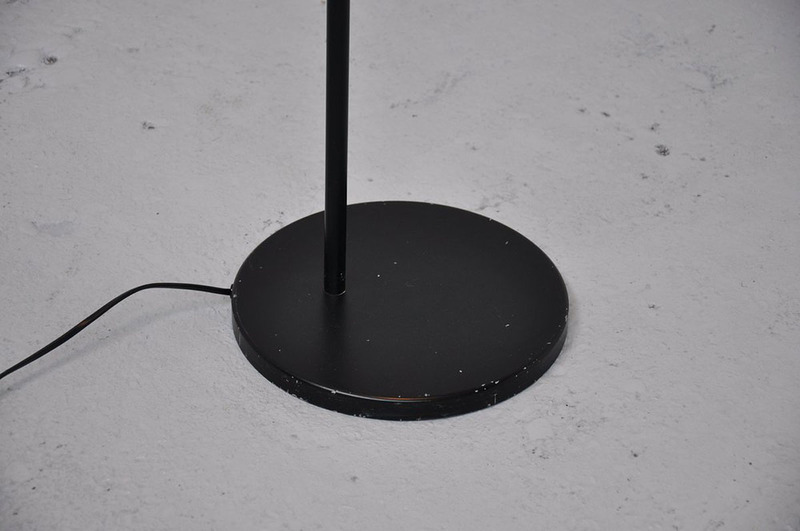 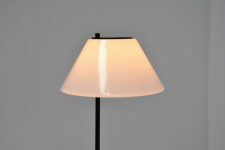 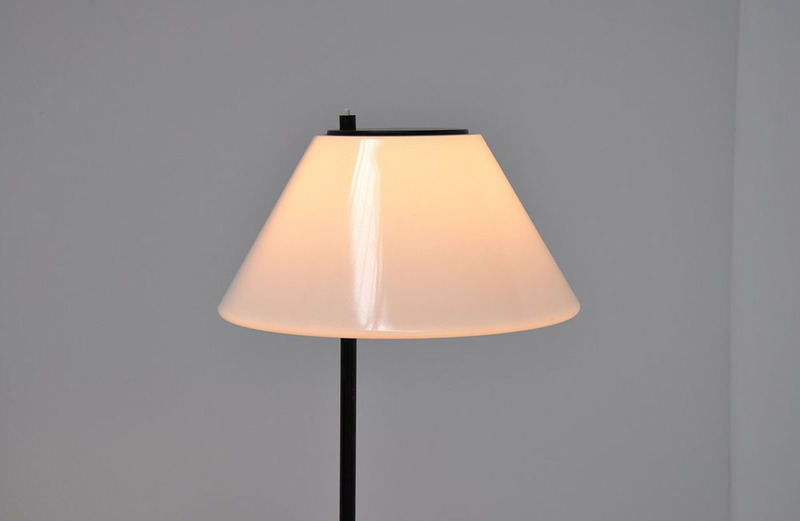 The lamp has a black lacquered weighted base and a white plastic shade. The lamp is in super good original condition and would look great in any modern design home or interior.